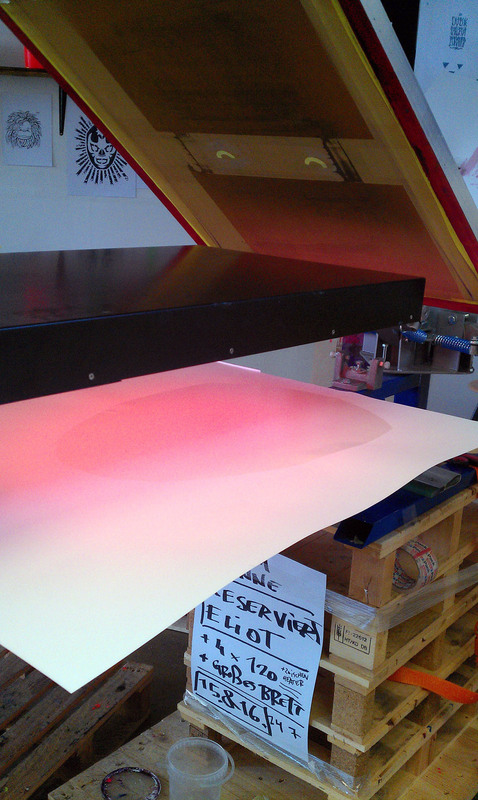 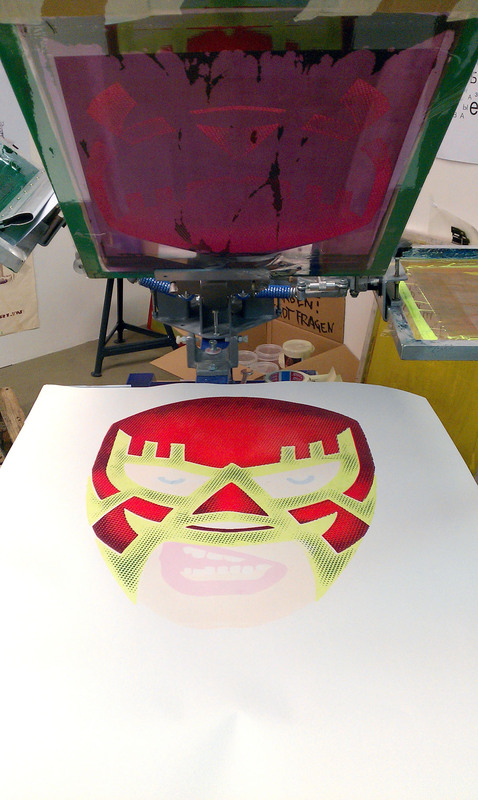 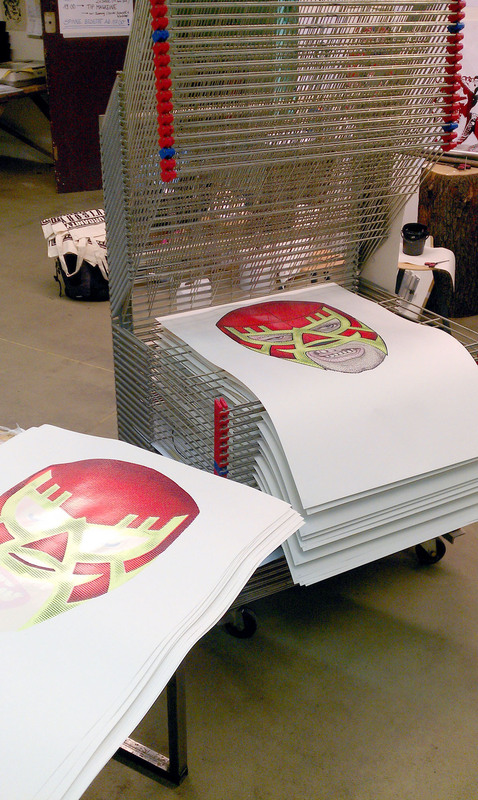 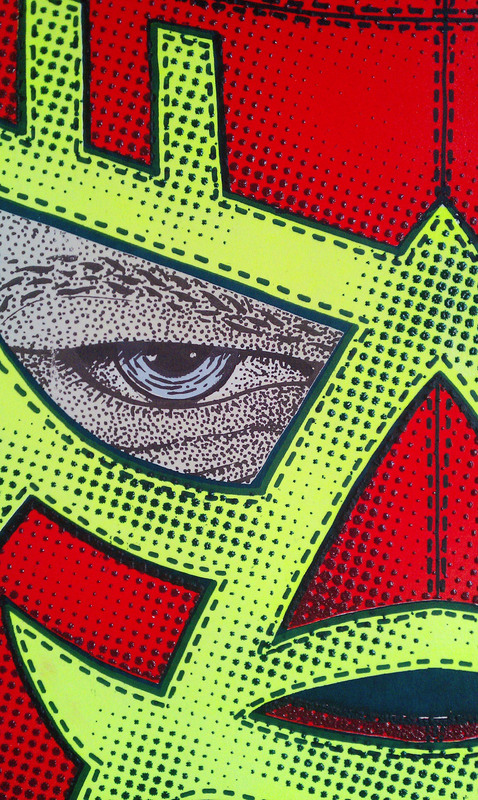 My lates handmade Silkscreen Print is a Luchadore with his vibrant Mask. 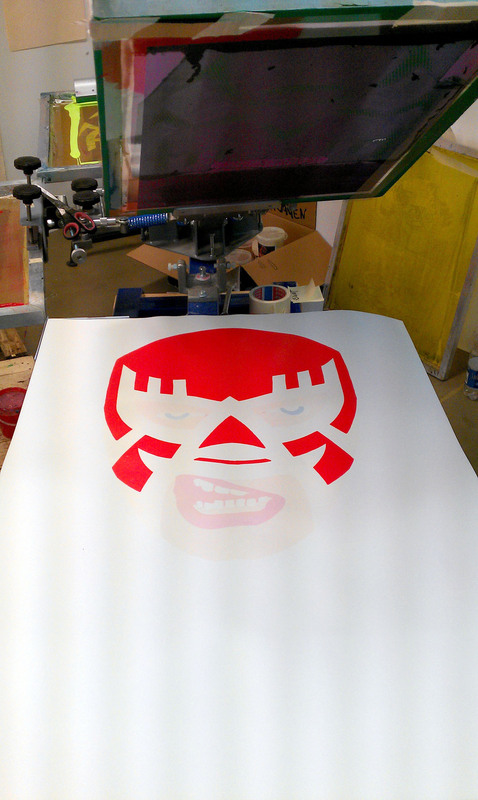 I used 10 layers of colours including one glow in the dark fx for the eyes and teeth. 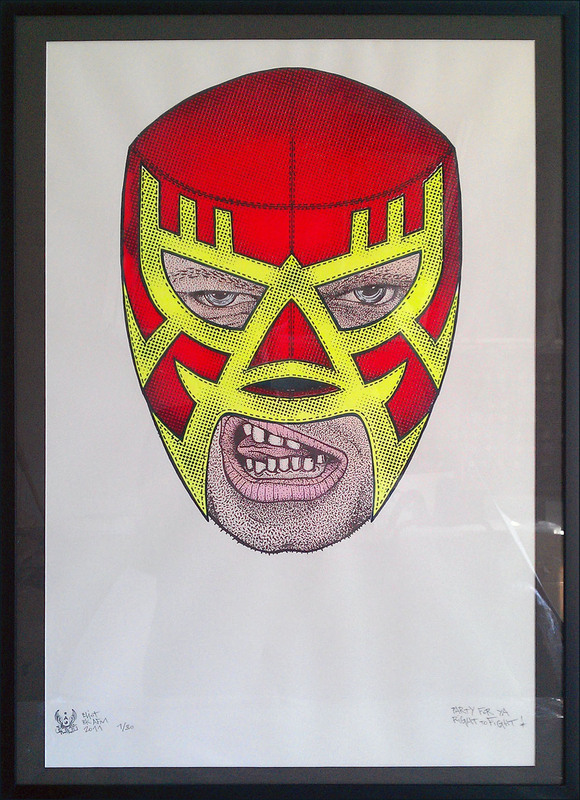 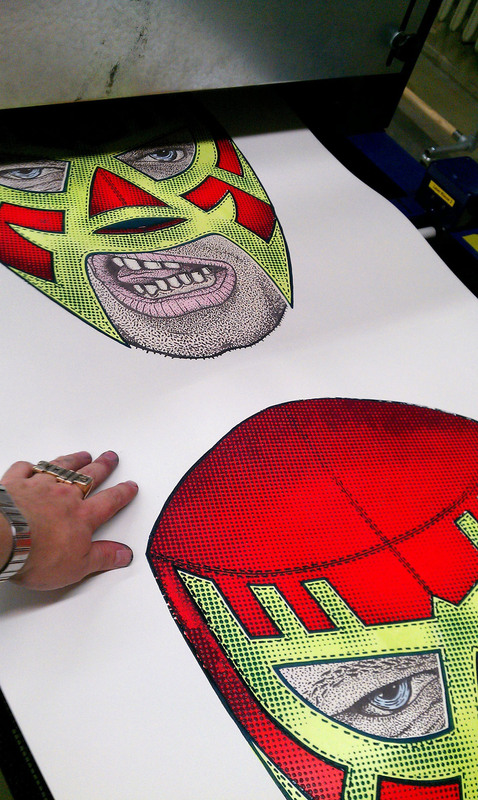 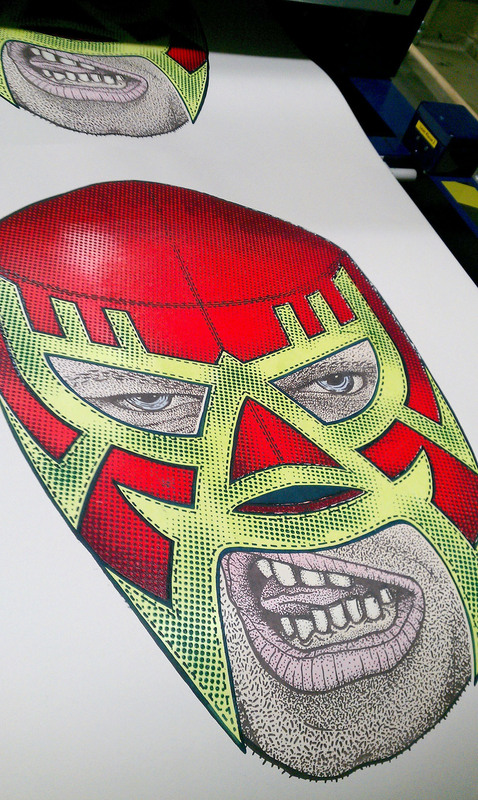 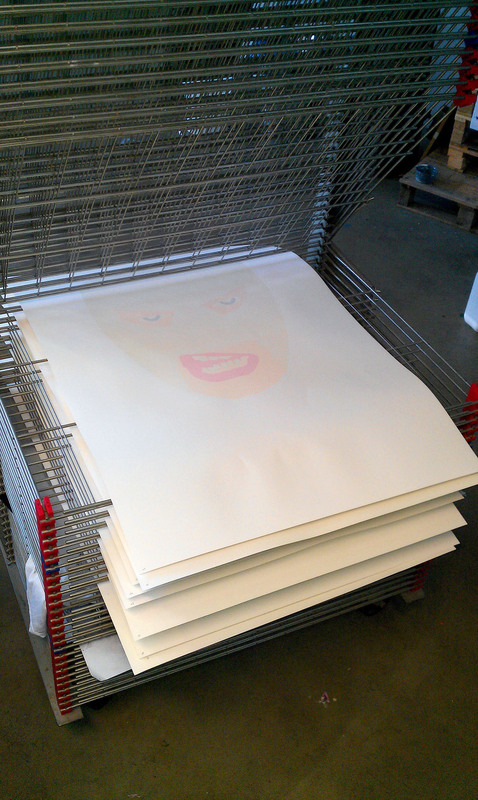 This Print is based on an illustration of my own face and my pattern design for a lucha-libre wrestling mask. 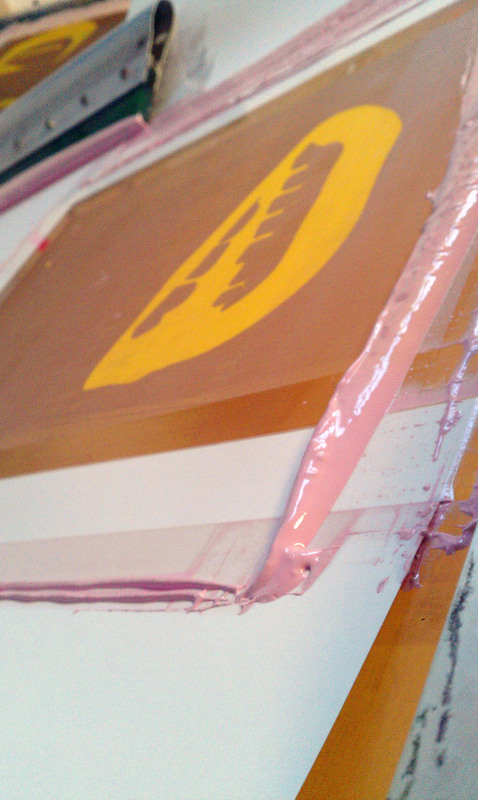 The used paint is plastisol, so each colour needed an in between dry-heating process before the next colour could be applied.